so adorable, the bag is the perfect pop of color! Those sandals look SO comfy & cute! Also, I really like that shade of lipstick. It looks great on you! Love the print, so beautiful and vibrant! love every piece of this outfit!! !the shirt is beautiful, the bag OMG, the pants match everything perfectly and the sandals are so subtle!! !love it!!! wow, Fabulous pieces! that bag is gorgeous! 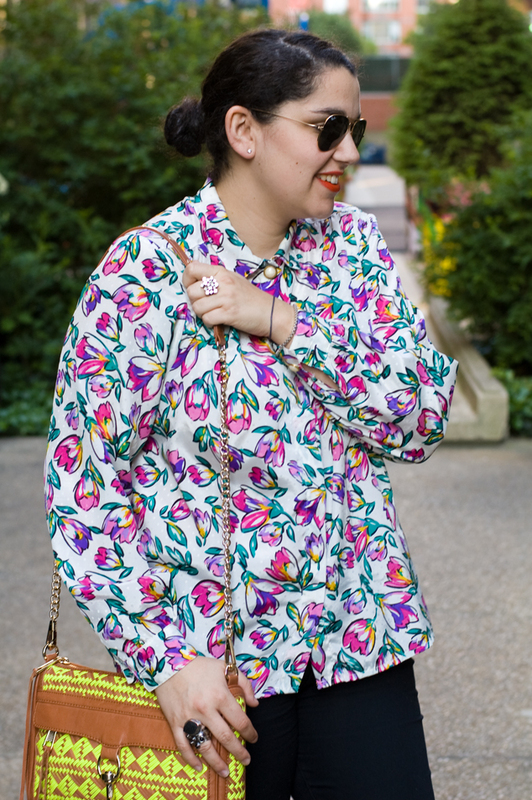 seriously love this floral! the bigger the better baby! 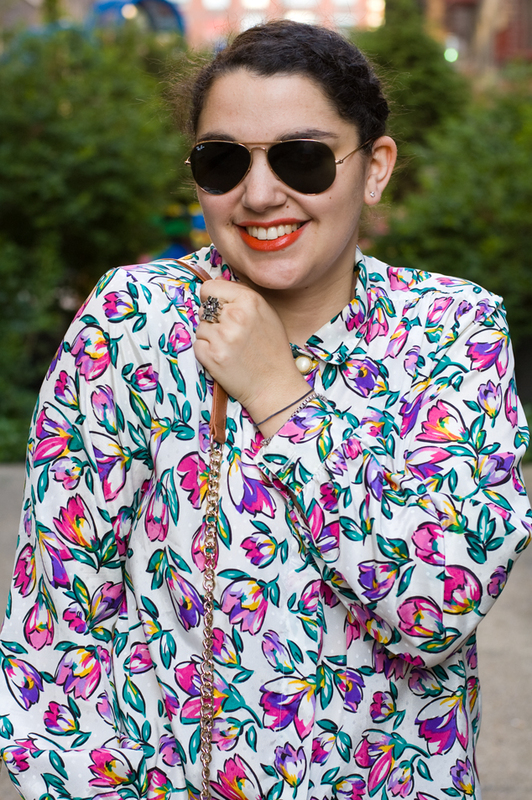 I really like your Neon and the floral blouse! Looks pretty amazing on you. 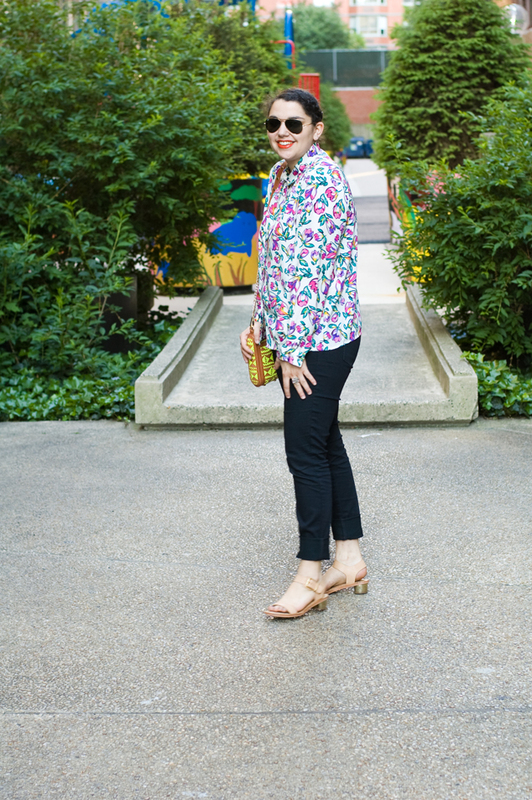 LOVING all of these bright colors here – such a great look! You look awesome! :) I love all these pretty colors! Would you like to follow each other? Would be happy! I labsolutely love those Sam Edelman sandals! 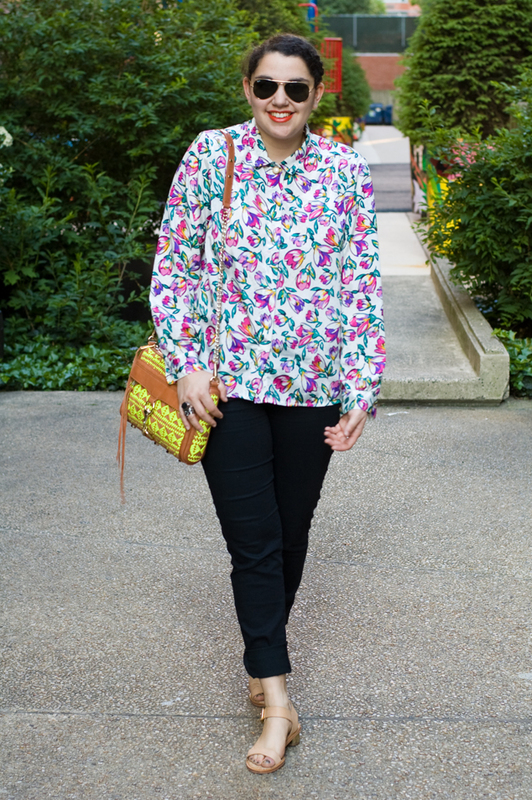 Floral blouse is always a good idea, and this one is just so darn cute! And I love your bag so much! Amazing outfit! Hi dear, this beautiful bright outfit is the perfect summertime look, adore that bag and the overall combination. 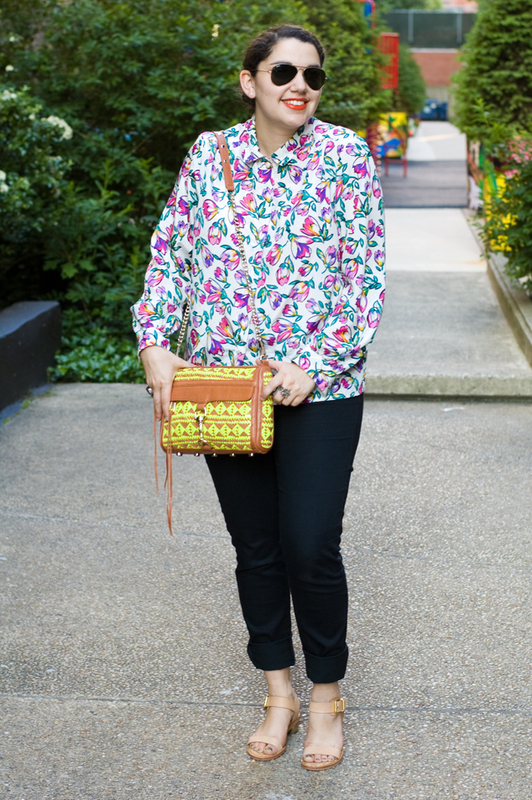 Love your blouse! Such a fun print. Sooo cute! That blouse is amazing, and I simply adore your shoes. I've been wanting those sandals soo bad! I love the mix of patterns with your shirt and shirt! Pretty blouse, love your sandals!!Kisses! Your style is totally gorgeous! Gotta love it! I like bigger. I like bolder... ;) especially with those shoes and bag! Great style !! Keep posting girl ! A great shirt :) Regards. That purse is on my short list! Looks adorable against the primary colored flowers. 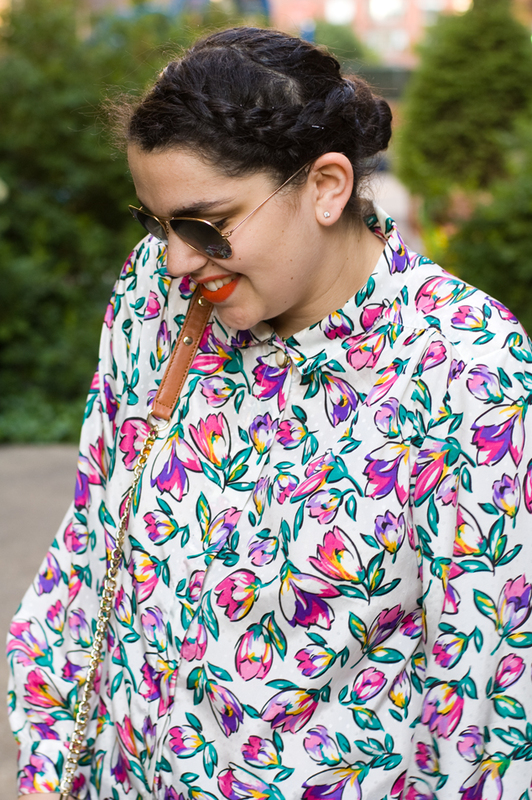 Love your floral top! very cute! That bag! Gorgeous. You have great taste in bags.